Cataclysm might hog the headlines this Christmas, but don’t count out CCP’s dark, dangerous star-gazer. 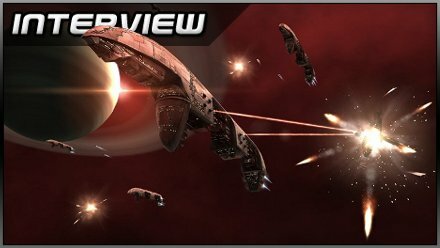 VGD talks past, present and future with the Principal Game Designer for EVE Online. Vast and lawless, a breeding ground for the best and worst tendencies of online socialites, EVE Online has captured imaginations to an extent only World of Warcraft can rival. VGD took time out to chat with Kjartan Pierre Emilsson about EVE’s evolution and development of Dust 514, a console-based online shooter set in the same universe. I don’t really play MMOs, but I’m fascinated by the histories of these virtual societies, the tales of competition and cooperation we read about on sites like Massively.com. What’s your favourite EVE Online story? My favorite recent story is when we introduced wormhole space which created ephemeral gateways to new and potentially dangerous solar systems. Some players didn’t take care of the fact that the holes could collapse and disappear, leaving them stranded in no man’s land. Instead of seeing disgruntled users as you could expect you started seeing cooperation and new activities with experienced players advertising their services to come and rescue them. We didn’t really expect that, but that is always the pleasant surprises in a sandbox game, when new interesting gameplay emerges. How do you think the practice of keeping one version of the universe in play on one set of servers, rather than maintaining several universes across several server sets, has affected how the EVE Online community has evolved? Running in EVE in one universe is pretty much central to it, and it’s difficult to imagine how the game could have been any different. This now seven plus year old game is brimful of epic stories of empires that have risen and fallen in monumental conflicts spanning years involving thousands of players, some of which have gained a quasi-mythical status. It’s difficult to imagine such richness in a series of smaller xeroxed universes. What are you most dissatisfied with about EVE Online as it stands? As we have kept adding to the game throughout it’s lifetime, EVE’s complexity has always been on the rise, even though it was considered already quite complex at launch. Keeping all the moving parts well oiled and interesting to both our veteran players as well as our newest members is an ever increasing challenge. It’s a challenge we love taking on. 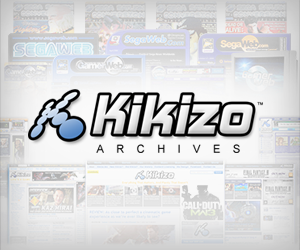 This year, the rise in our subscriber numbers started to put lots of load on our infrastructure, resulting in a lessened player experience. We finally tackled the problem heads on and put our finest into making a radical overhaul of our core systems. Today, EVE’s performance is pretty much the best it has ever been and even more improvements in the pipes. How is development on Dust 514 going? Development is in full swing, with your 100+ studio in Shanghai dedicated to it, as well as in our studio in Newcastle. Would it be true to say that Dust 514 is the long-planned planetary aspect of EVE Online built up into a whole new game? To a certain point yes. We have always felt that fast timescale of a first-person shooter would be difficult to match to the slower strategic timescale of space combat, thus if we really wanted a ‘boot on the ground’ experience for EVE, we would have to do it in a separate ‘view’ of the EVE universe. This doesn’t mean that planets will not be part of the reality of EVE. The link between EVE and Dust ensures the cohesiveness of both and enforces the fact that it happens in the same universe, event though you have to wear different glasses to experience it. CCP CEO Hilmar Veigar Petursson has been quoted as saying that the EVE Online and Dust 514 universes will “meld” in time, and that one of the ways this might happen is that EVE players will carry over agreements and alliances to the new game. Are you going to wait for the respective communities to make the first moves and follow their lead, or do you have a plan for how you’re going to integrate these two games? There is definitely a plan to meld both games from the very start. As a precaution though we made sure that the design is such that both games can live without each other to start with such that we can ease into the union of both at the pace that suits the playerbase of both. This will be an interesting social experiment. What do you think of the free-to-play MMO market? It is an interesting development that certainly revitalizes the market. Already in EVE, good players can play for free by using in-game money to purchase PLEX (30 day Concord Pilot’s License Extensions) on the in-game market, from those who bought them for real life money. The flipside allows people to boost their in game currency through the same system. This is a good way to introduce such a model in a subscription service such as EVE. But free-to-play does not necessarily suit all type of experiences. Somebody worded it as such: ‘if you are not paying for it, then you are the one being sold’ and not everyone enjoys being sold. Kjartan, thanks for your time. Posted in Interviews, Top 5, and tagged with CCP, eo, interview, MMO, wow.